Do you have archives of drawings or plans but no room to store them? Are easy to retrieve, meaning no more searching of filing cabinets. Can be easily printed and distributed. Allow more than one person to view files at the same time. Do not damage the original paper drawings. Document scanning provide black and white or colour scanning of drawings, graphics, maps and posters. If you have any colour prints or plans up to A0 size, these can be processed at up to 1000 dpi in full colour, mono (black and white), greyscale and lineart. What format are scanned drawings provided in? Drawings can be scanned to image formats such as TIFF or JPG. and can also be converted into CAD. Click here for more information about CAD conversion..
Can document scanning.net collect and return drawings for scanning? document scanning.net can arrange for delivery and return of drawings if required. We collect client’s records throughout the UK either through couriers or our own vans. How do I know what size drawings I have? 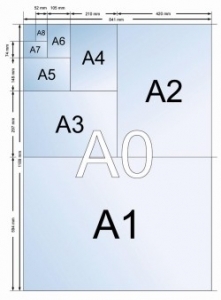 The document should have the size quoted as A2, A1, A0 etc in within a corner of the paper. Otherwise by using an A4 sized piece of paper as your reference point you can tell what size your paper is, e.g. if you double the A4 over once you have A3. Doing this action again equals A2, again equals A1 and so on. More information can be found by clicking clicking here. Does it matter about rips, tears and cellotape on the drawings? Yes it does, but documentscanning.net use special techniques gained from our years of experience with dealing with drawings to work around such issues – contact us to find out more.